Slow braised Scottsdale pork belly, radish cakes, chilli caramel, pickled coriander seeds, daikon greens. 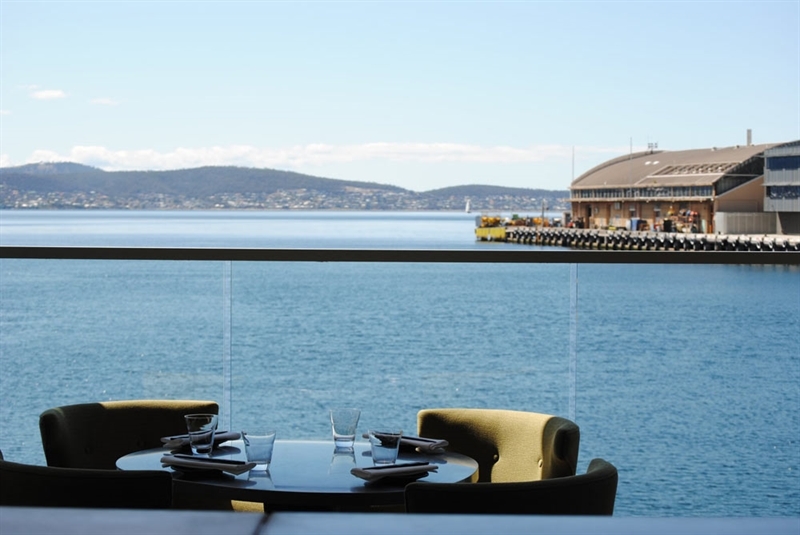 Perched at the end of Brooke Street pier, The Glass House is Hobart’s premier dining bar, with commanding water views over the Derwent River. 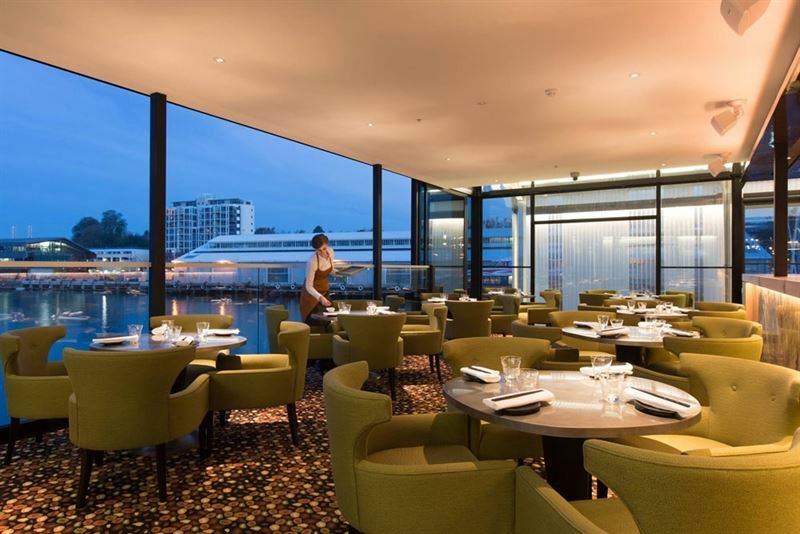 True to the name, this innovative restaurant glows like a beacon at night as guests enjoy romantic, leisurely dining, surrounded by glass on all sides and in the comfort of soft leather couches and frosted green chairs. 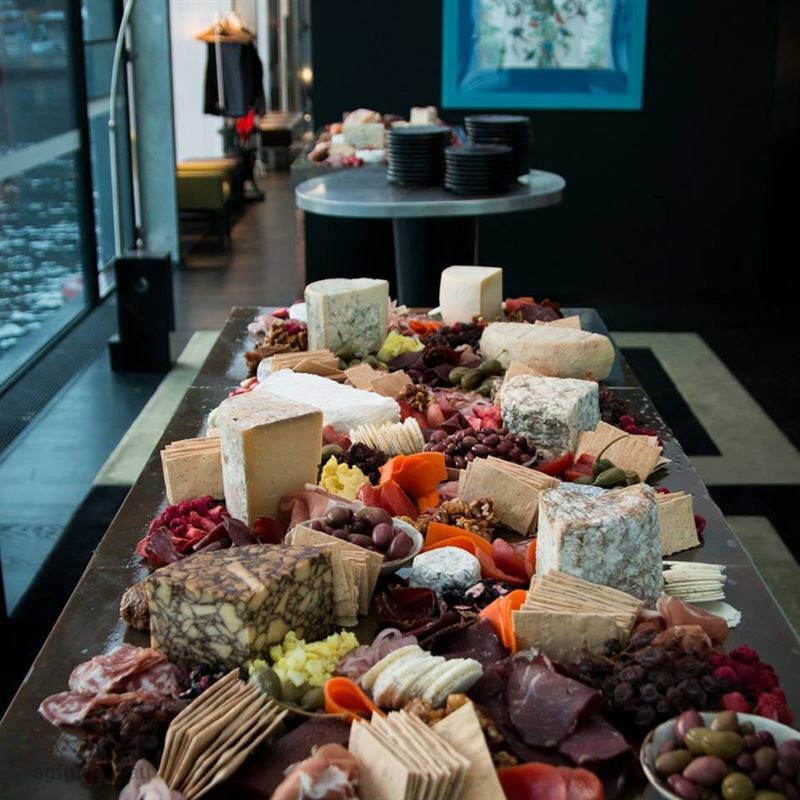 Perch on brown leather bar stools at their bold, copper bar under a reflective ceiling for a pre-dinner drink, before selecting from a menu brimming with fresh Tasmanian produce. 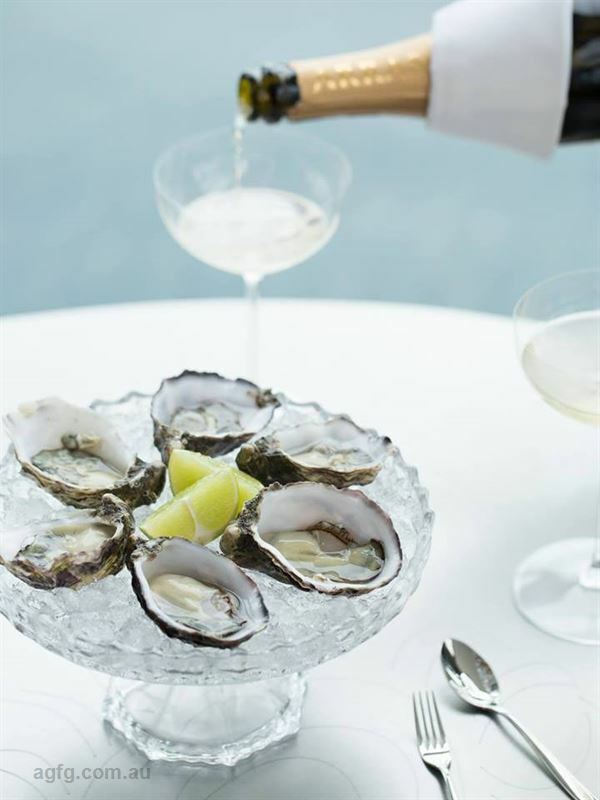 Perhaps opt to begin with Coles Bay sea urchin and perilla butter, with rye crumpet and sheep’s sorrel; before mains such as pan fried North West rainbow trout, brassica leaves, smoked green local olive oil, elderflower capers and Cygnet black garlic.